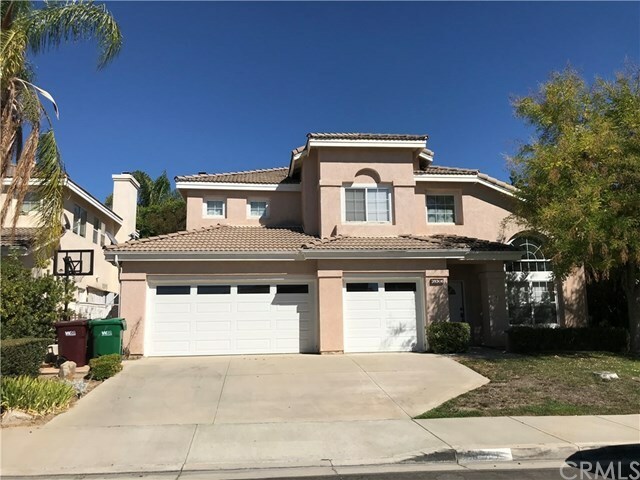 **** SIGNIFICANT PRICE REDUCTION ****This beautiful home is in the heart of East Murrieta close to shopping centers, easy freeway access to I-215 and I-15 is located in the Temecula Unified School District. The home has a very spacious open floor plan that includes a formal living & dining room with vaulted ceilings, downstairs bathroom with shower, kitchen with upgraded cabinets and newer appliances, Custom fit blinds, Laundry room & Three car garage with new insulated garage doors. Upstairs master bedroom with his and her closets, double sink, separate shower and soaking tub, also upstairs are two bedrooms, bathroom with double vanity and shower in bathtub . Private backyard with mature lemon tree and a wood burning fire pit. Very LOW TAXES and NO HOA.